Blinds inside double glazed units are assembled and permanently sealed within the double-glazing cavity of a sealed double glazing window unit. Having been sealed into the double glazed unit, this makes the blinds totally dust free environment. What a great solution because the blinds do not require cleaning. This means that they will always appear new. 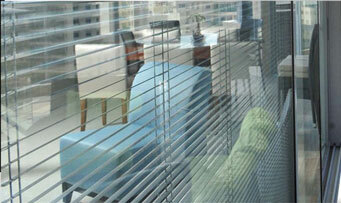 An additional benefit is that the blinds are protected from damage unlike conventional blind systems. So how are the blinds controlled if the unit is sealed? Well, a unique system of magnets controls the movement of the integral blind. Two rotating magnets control the movement of the integral blind. One magnet is located inside the cavity and the other is connected outside. The integrity of the sealed unit is maintained because the seals around the unit are not broken, nor do they have any moving parts passing through them. The magnets have a lifespan of over 100 years, so they will not wear pout within a normal lifetime. So having blinds inside the double glazing has many benefits, including good hygiene, no cleaning and robust. 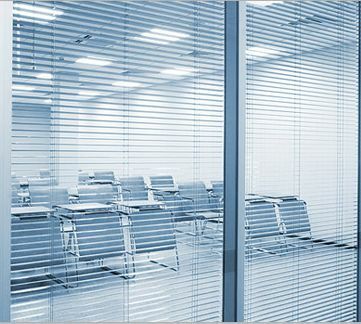 So unlike external blind systems, between glass blinds are a revolutionary system that will also help you control your energy bills by providing great insulation.